Android – Ben Boyle lives here! Time for another post about android? You bet! I tried iOS 6 on my iPhone 4 for a week and quite liked it. Then I bit the bullet, rooted my galaxy S3 and installed a custom rom on it to get the latest android: jelly bean. The rom I chose, after very little research, is called paranoid android. It’s based on another rom called CyanogenMod. The key feature of paranoid android is that you can pretend your phone is a tablet. You can do this per app. Some apps give you different UI layouts on different devices, paranoid android lets you use them on a single device. It’s a great idea and works a treat. The downside to using a mod rather than a stock rom is that some of the stock features no longer work. On the S3 this means many of the advanced motion controls cannot be enabled: like having the screen stay on while you look at it. This is pretty minor, many of these features are gimmicks. The most glaring problem is that Wi-Fi hotspot does not work. I was hoping to use that for my iPad when away from home, but it’s completely broken. Less of an issue, but there are some features in the Samsung camera app that are not available in the default Google app: backlight scene mode is one I would like to have. So is a custom rom worth it? Oh yes. Jelly bean is great. Removing Samsung’s customisations is good, I prefer the Google experience. I also like that I can disable the hardware back button (which I kept touching by accident) and adding softkeys to the bottom of the screen. Give up a little real estate, but you get more functionality. The menu button can launch Google now (long press), and the back button becomes a hide keyboard button when you are typing. Nice! Jelly bean articles talk a lot about “Project Butter” and how the UI is “buttery smooth” which I think sounds pretty silly. Having used it though, the animations are very nice when using home screens and the apps menu. It is definitely much better than the old ice cream sandwich UI. I could elaborate, but let me just say it’s as good as promised (even if it does sound a little silly). I especially love the animation when taking photos. It’s very clear when a photo has been snapped! Custom roms are tricky to install though. I’ve wiped my phone a few times in the process. I think the simplest solution may be to buy a Google phone, rather than a Samsung. That should mean the jelly bean experience is unaltered and updates are released sooner. I tried the Samsung flip case. It’s nice, but awkward for me. I’ve put a Case Mate barely there bumper on and that’s exactly what I needed. I don’t press the volume and power buttons by accident much anymore, and I can put the phone face down without it resting on the screen. It hasn’t made the phone much wider, I find it very comfortable in my pocket. I chose the purple case—it’s perfect paired with a Decepticon insignia! One last note: the super amoled screen in the galaxy S3 is very nice, but it is not as good as the retina display in the iPhone 4. I can see the gaps etween the pixels when I hold the phone close (10 cm). But with such a large screen, holding it a little further away is no problem at all! Turn the brightness up a bit to experience the full glory! iOS 6 was released this week. No sign of the jelly bean update for the Galaxy S3. There’s a lot of chatter on tech blogs comparing iPhone, S3, lumia and more. Talk about cameras and 4G and operating systems. Let’s fire up the Samsung vs Apple debate—not about patents. I want to discuss the customer experience of buying a flagship phone. When you buy an iPhone, you can pretty much expect you have the top product apple has on offer for about the next 12 months. You can upgrade every year or 2 to keep pace, or know you’ll have a pretty awesome phone regardless. I expected similar from Samsung, though in hindsight this is a strange expectation. Samsung release many, many more products, and those products are going to compete with each other. The Galaxy Note 2 is an interesting comparison, for example, but these are different phones for customers who want different things. What I didn’t expect, was for Samsung to release a better S3! But coming out this month is an S3 with 4G network support, available in black and grey. New colours are cosmetic—but why doesn’t my S3 have 4G support? To cap it off, they get the Jelly Bean update. Where’s my update! Why is this a problem? It’s not a big deal really, but when you buy a top of the line S3, you expect to have a top of the line S3. You don’t expect to have a ‘second best’ S3 within weeks. I encountered this news while looking for accessories—something that’s also easier to do over in the apple camp! Two big pieces of phone news this week. Naturally everyone knows the iPhone 5 was announced but most people probably don’t know my replacement Galaxy S3 finally arrived. It vibrates!! So good. Expect some more comparisons in coming weeks. I am looking forward to trying the camera out properly this time. I am also looking forward to the android “jelly bean” update, though I will say iOS update news is much clearer. When apple update iOS, you get the update. When google update android, you wait for Samsung to do something… Samsung’s information about upcoming OS releases is rubbish. They really need to improve there. Meanwhile, to make comparisons more interesting I bought an iPad 2. I passed on ‘the new iPad’ because (a) it costs more, (b) it chews battery faster, (c) weighs more and (d) has a silly name. I grew up on ‘New Street’, and let me tell you that name gets old fast. iPad 2 is doing a great job for reading comics, books and news via flipboard. All of which are nice on the S3, but the iPad screen is bigger. This way I get to keep my iOS content: apps, tv shows and movies. I also discovered—when a friend loaned me one during a jam session—it’s great for quickly looking up bass tabs on the Internet. I said I had finished posting about android vs iPhone, but I was wrong! I’m still waiting to return my faulty S3—yes, kogan support is that slow—and I’ve been using the Galaxy S3 again for the past week. I’ve got a couple of new comparisons to add for those interested. Form factor is the physical size and shape of the phone. The Galaxy S3 is thinner, lighter, more slippery and has buttons in different locations. The Galaxy S3 fits beautifully in jeans pockets. Being light, thin and slightly curved, it’s a very comfortable fit. It isn’t bendy, but it feels like it moves freely with you whereas other more chunky items—iPhones, wallets, 3DS, etc.—feel … unbendy. That’s a plus. However, when it comes to taking photos, I prefer the thickness of the iPhone 4 to the tapered sides of the Galaxy S3. It feels more solid, which I like. I feel steadier. I really think the iPhone 4 nailed the button placement. I like the separate volume up and down buttons—bonus points for using the ‘+’ button as a camera shutter. I like that these buttons are circles on the iPhone—the volume rocker feels a bit thin on the S3. Everything is thin on the S3! Back to the iPhone, the power/lock button is nicely out of the way on the top and the dedicated silent button is a treat. The home buttons are about the same. It’s unfortunate I keep clicking buttons by accident on the S3, but give me time and those habits should change. There are great apps on both, but having switched between the 2 phones (and I will be back on my iPhone when the S3 is sent back for replacement) I can’t get enough of cross platform apps. Forget iMessage, try WhatsApp on both iOS and android. It’s really good! Steer clear of iBooks—you have plenty of choice with Kobo, Kindle and Google play books (available on both). And for note taking, evernote is impressing me. I have also switched from 1password to keepass, and storing the keepass database on dropbox means it’s always available! I haven’t found an app that is like Reminders on iPhone though… any suggestions? I’m enjoying the doubletwist music player. I’d still prefer the headset integration on the iPhone, but I like the doubletwist app better than the iPod app. It has 2 small quirks—it won’t sync ratings back to iTunes (yet? I hope) and it displays all album art as square, so some artwork is skewed. 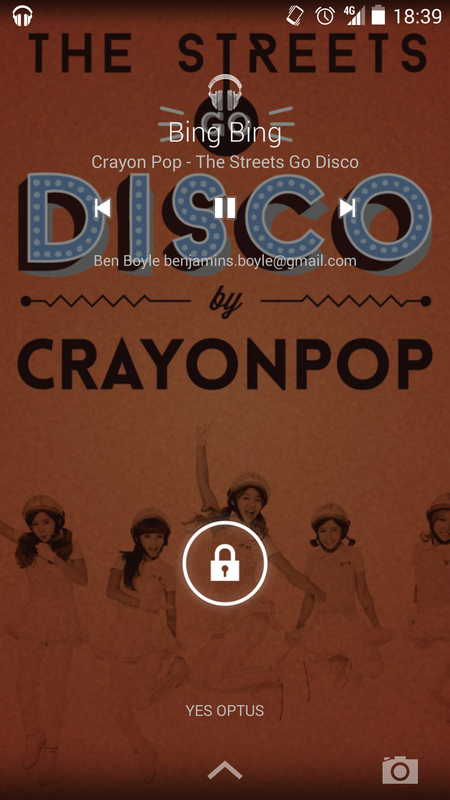 Brilliant playlist management on the go though, nice lock screen UI, and the syncing works fine! Interestingly, google drive gives you access to all your documents on both—but it’s read only on the iPhone, while you can edit on the S3! Win! All this will also depend on: how quickly kogan get a replacement phone—with working vibrate—out to me, when iOS 6 is released, when Samsung release android 4.1 Jelly Bean for the Galaxy S3. Let the race begin!